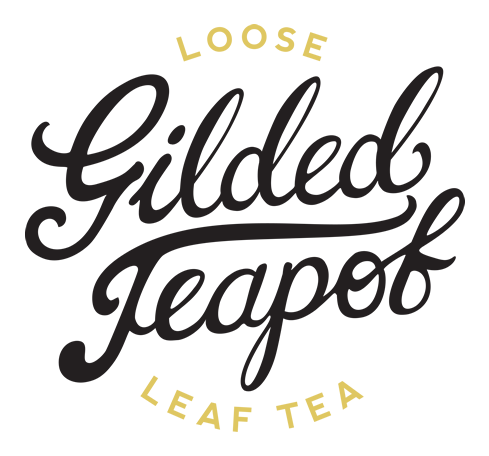 The Gilded Teapot > Blog > Archive by category "Guides"
Cold tea? We’d normally think of this when we return to a mug we made earlier, only to find that our cuppa has turned cold and bitter while we were preoccupied… Or perhaps a pre-bottled sugary supermarket offering? Well, we’d like to tell you how it can be so, so much more – and not only is it wonderfully simple, the cold brew technique opens a entirely different spectrum of taste and experience. 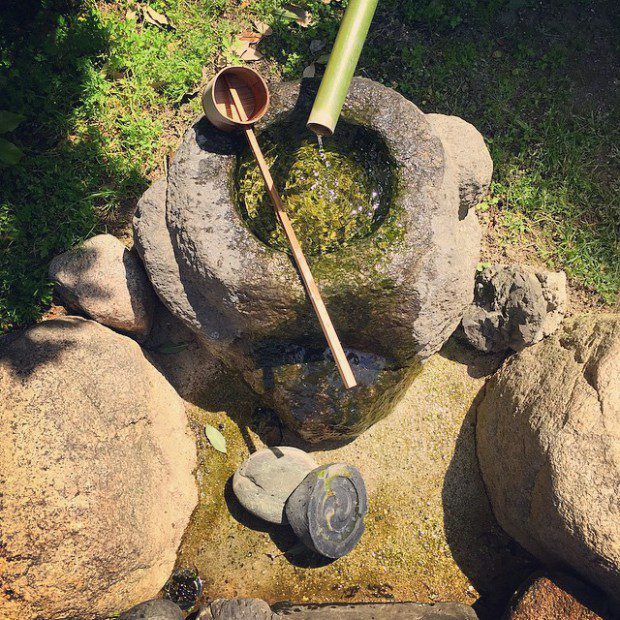 Brewing tea in cold water – or ice – can yield fantastic results. 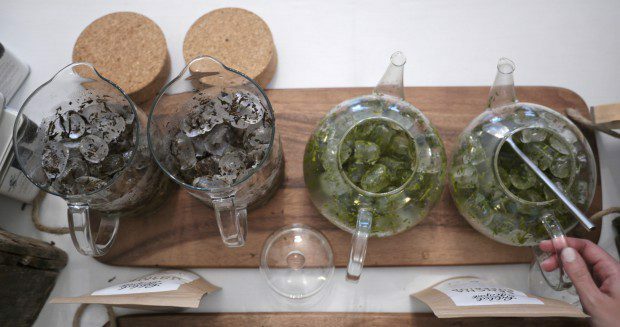 First popularised in Asia, most notably Japan and Taiwan, cold brew teas are served up and down the country as a refreshing remedy during the muggy, humid summers. One of the many interesting things about cold brew tea is that a very different chemical process takes place to that of hot water. Higher temperatures encourage the leaves to release their many compounds and potentially bitter characters and tannins at speed – however, the cold brew process reveals an entire new world of soft, sweet, grassy flavours with a velvety touch to the palate. This completely leapfrogs over the need to brew hot tea, cool it, then add something to sweeten it in an attempt to mask the bitter notes of this cooled-down infusion. 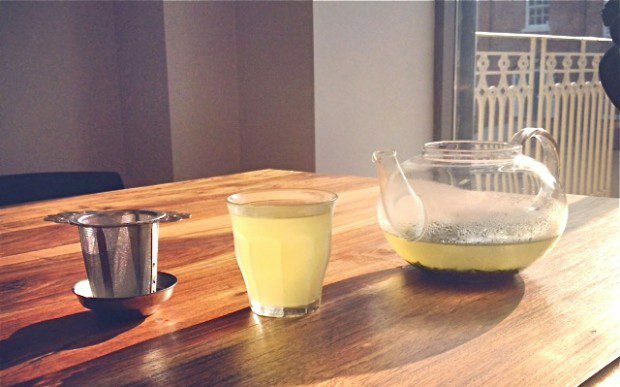 One of our favorite teas here at The Gilded Teapot to use for cold brew Japanese organic Sencha Superior and is beautifully simple to make. 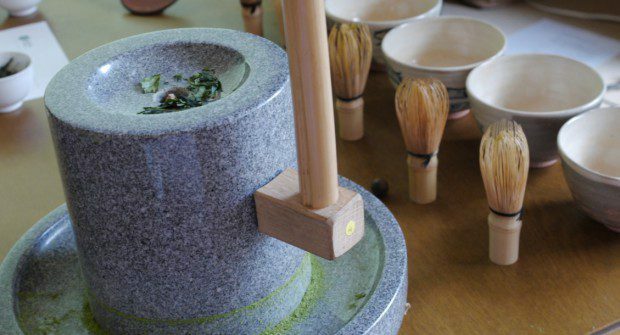 The first method is to add 2 tsp of Sencha to your teapot and fill it with ice cubes – once enough of the cubes have melted to fill your cup you can strain the infusion and enjoy (and return to the rest when the rest of the cubes have melted). You can also add a little cold water to encourage the infusion if you’d like your tea a little faster. 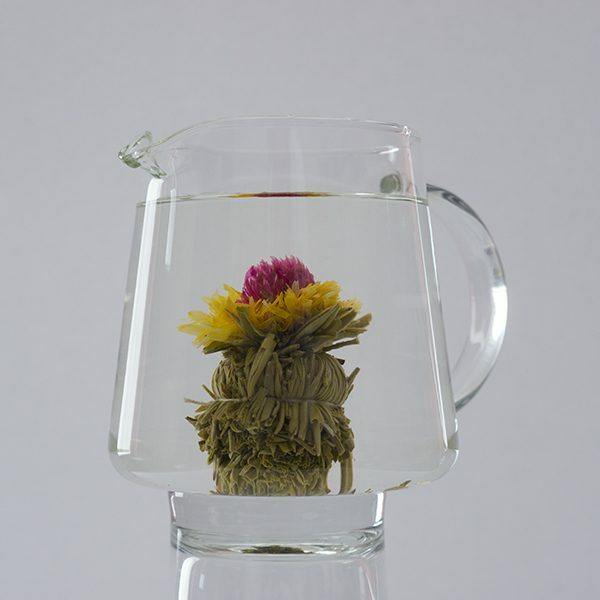 The other method is to add the tea leaves to cold water and infuse for 5-8 minutes.  You can also re-infuse these leaves several times, so you can enjoy your cold brew throughout the day. 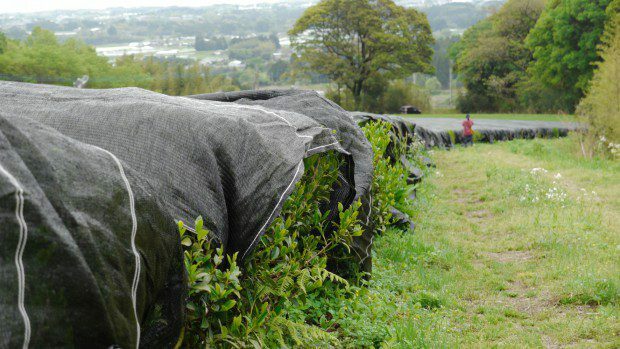 Another tea that works particularly well is Hojicha – a blend of lower leaves and tea stalks that have been toasted over charcoal in porcelain pots by a family of growers in Mie, Japan. 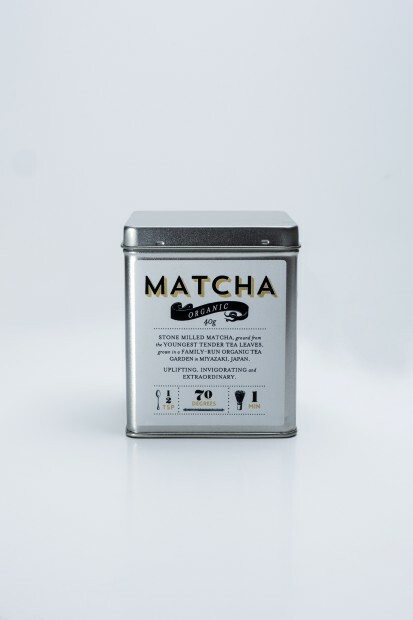 Rather than a typically ‘green’ and grassy character, the Hojicha gives a fantastic light, coffee/cocoa sweetness. 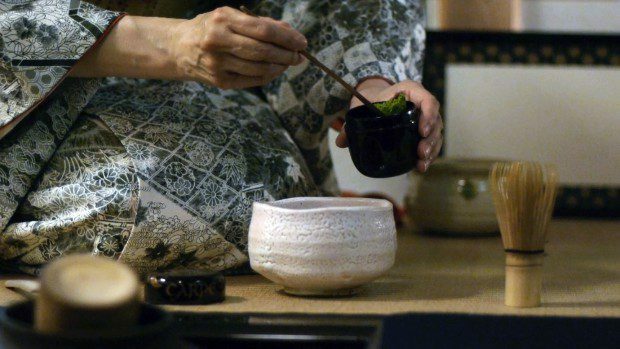 You can brew this in exactly the same way as the Sencha above. 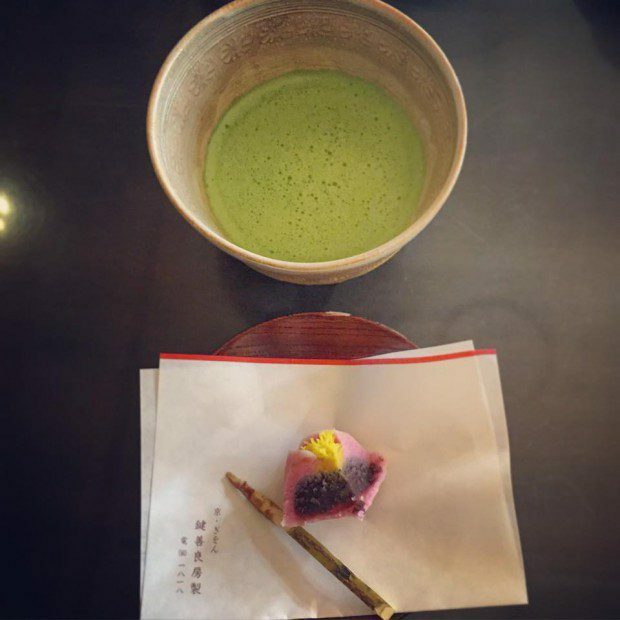 It tastes rather similar to the famed Boucha tea from Kanazawa on Japan’s western coast – there is nothing better than diving into a small, shady tea room in Kanazawa’s Chaya district on a hot day and being greeted with a cooling glass of iced Boucha. And why not experiment? You can even look towards herbal infusions… Peppermint cold brew with slices of fresh lemon and cucumber is a thorough delight first thing in the morning. Or a cold brew Earl Grey (with a little gin) over ice might tickle your fancy?